Publishing practice requires that authors view the edited, typeset manuscript and sign off on it before it is published. Simple as it is in principle, the execution of this idea becomes rather complex in a global production environment that involves authors, publishers and typesetters across time zones. In a print-centric world, which publishers are trying to move beyond, proofing was accomplished by circulating a PDF of the typeset manuscript for authors to check and approve. In such a system, authors would annotate or comment on the file, on a layer above the content, and these annotations and comments would have to be subsequently transferred manually into the manuscript, with the possibility that the process of manual transfer would introduce its own errors into the manuscript. Productivity suffered as well. 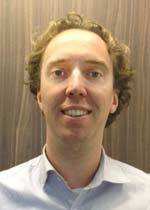 As Project Manager for Elsevier Global Operations in Global Supplier Management, Henk-Jan Loor concentrates primarily on the crossover area between Elsevier Operations, direct spend suppliers and Reed Elsevier Procurement. His focus is on identifying and analyzing opportunities for improvement in workflows, product specifications, supplier allocations, supplier services, and use of technology, with the goal of increasing efficiency and reducing costs and/or turnaround time. Bhaskar Venkatraman, Chief Creative Officer for TNQ, also contributed to this report. To this end, Elsevier has been examining tools and technologies to transform the proofing process. 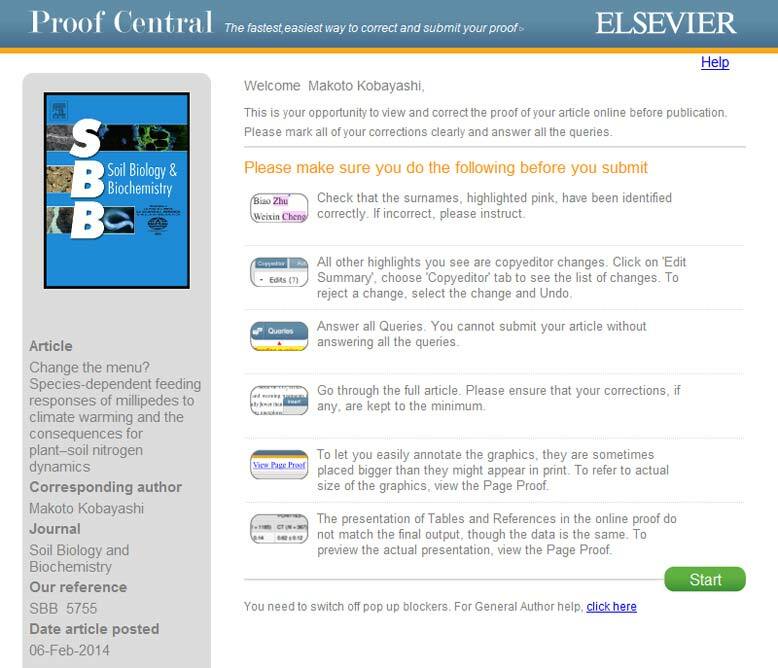 In October 2012, after an exhaustive search, Elsevier decided to pilot two of its journals on Proof Central, an HTML-based online editing and communication platform engineered by TNQ Books and Journals, one of Elsevier's global partners for content-centric technologies. 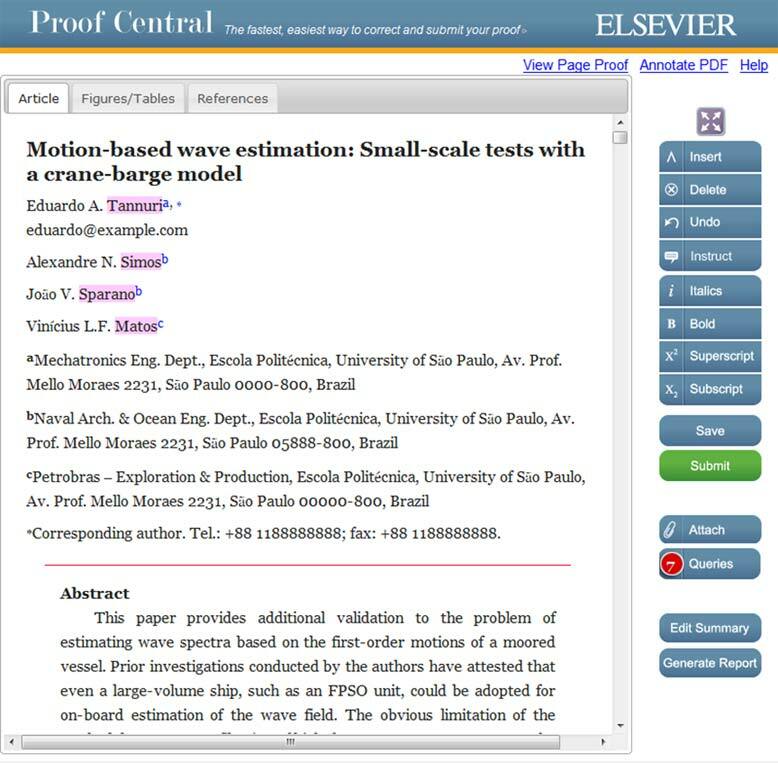 Right now, more than 1,100 of Elsevier's journals, typeset by half a dozen global typesetters, send proofs out via Proof Central. This is set to rise to over 1,400 journals by end of 2014, accounting for more than 25 percent of all STM journals globally. Proof Central is one of the most exciting technology developments to be implemented in Elsevier's global production in recent times. We wanted to be sure authors would accept the new experience, and they have been more than encouraging. Now authors often return proofs within two hours after we send them out, whereas it used to take at least two days with the earlier PDF process. In addition to improving the author experience, the new system has various other benefits, explained Johan van Slooten, Senior Director of Global Procurement for Reed Elsevier, Elsevier's parent company: "Proof Central showed substantial savings on effort, time and money spent on content integration post-annotation. The system cut down content integration errors, vastly increasing our credibility in the scientific community." We calibrated Proof Central to allow only as much author intervention as can be allowed in a peer-reviewed manuscript. 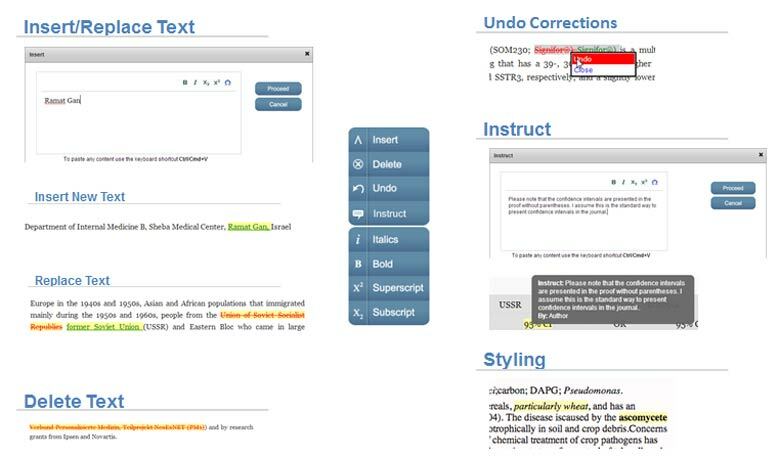 The system sets up a Conscious Editing Environment for authors to interact with. Users interact with the HTML and introduce inline changes that go directly into the XML beneath, without violating the document structure. Also, all actors work on a single URL, introduce their deltas (corrections, comments and instructions) into it, and the full workflow cycle is completed on the same page. "You guys have made it so easy for us." "It's like you have fitted my bike with turbochargers." "I have never worked with anything as powerful." How much this service costs? and how long time it takes? This service is free for our authors. Once the proof is available, the correspending author receives an email with a direct link to his/her article in the Proof Central environment. I hope this answers your question. Feeling very proud to be a TNQen. It is good to hear that major percentage of authors are getting benefited. Thanks for your message. We are continuously collecting feedback in order to enhance the user experience. The most convenient way to share an article with your co-author(s) is to click on 'save' after you have made your corrections. If you are then able to copy and paste the address balk and share that with your co-author(s), they can interact with the interface and make their corrections if needed. Once everybody had their turn, you can click 'submit'.